I do love a good train ride. 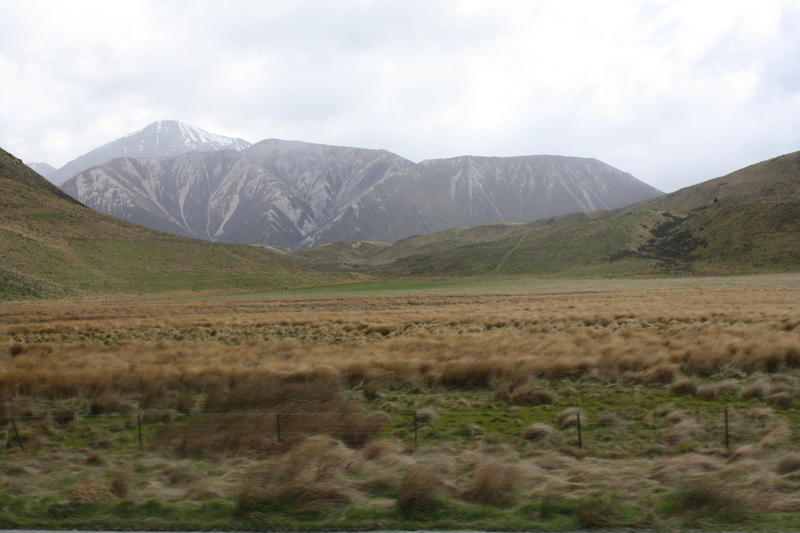 I’ve got fond memories of rail journeys through Europe (plus a few nightmarish ones) but I’d never done a long distance trip by train in New Zealand until this year. 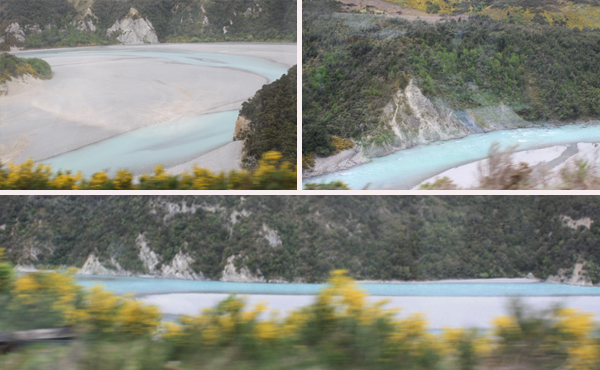 Stupendously scenic, the TranzAlpine is one of the world’s most famous rail journeys. 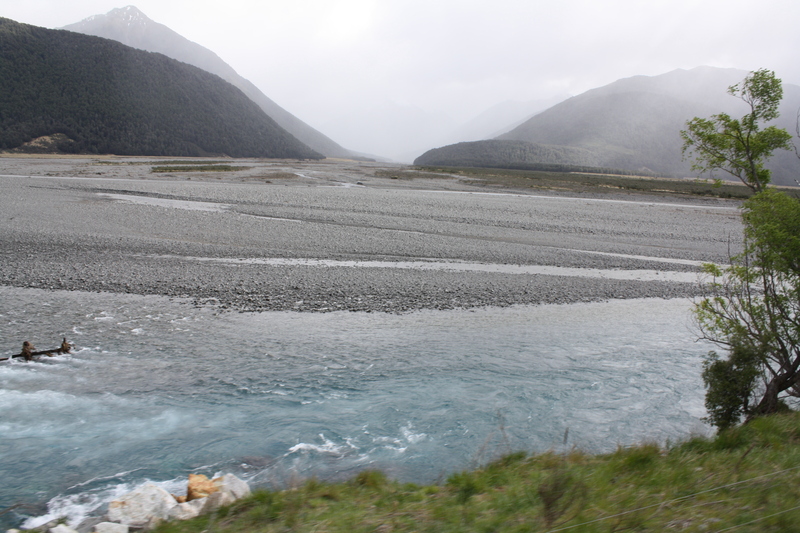 It travels between Christchurch and Greymouth through Arthur’s Pass, a national park nestled in the mountains. 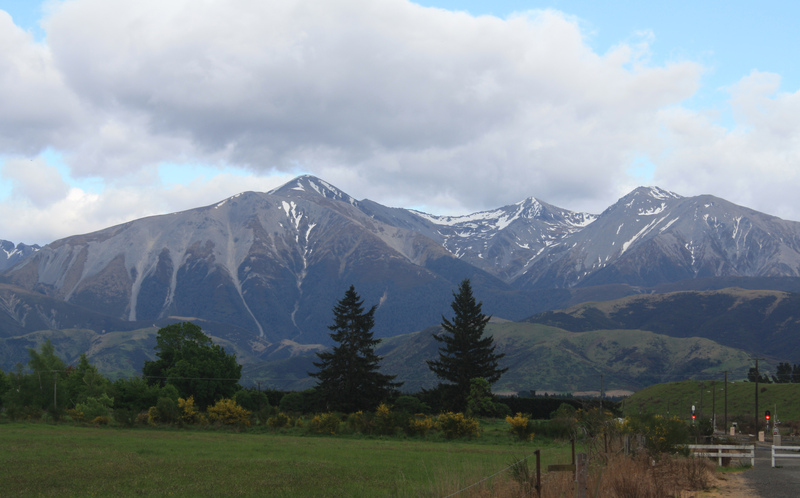 I had a much needed doze in the beginning, as we rolled through the outskirts of Christchurch and the beginning of the Canterbury plains, peeking out every so often to catch glimpses of lush green fields and the darling spring lambs and calves. 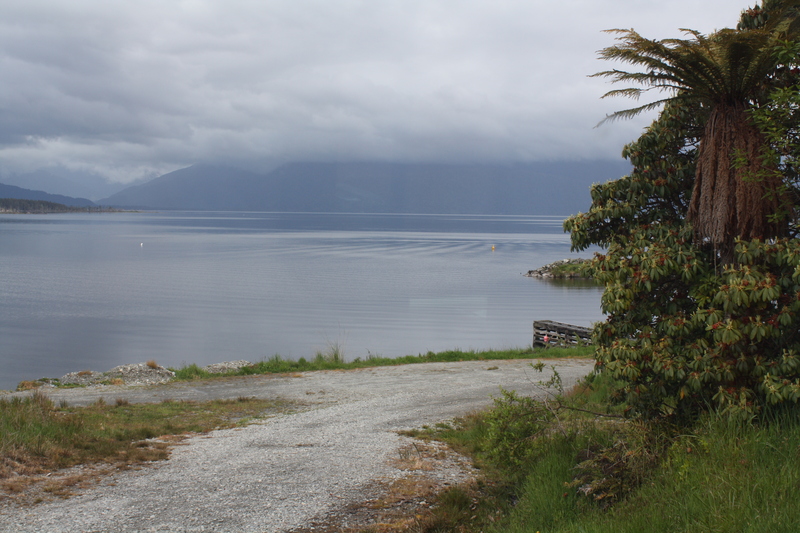 From here the train approaches the Southern Alps and the weather gets wilder – foggier, windier, rainier. 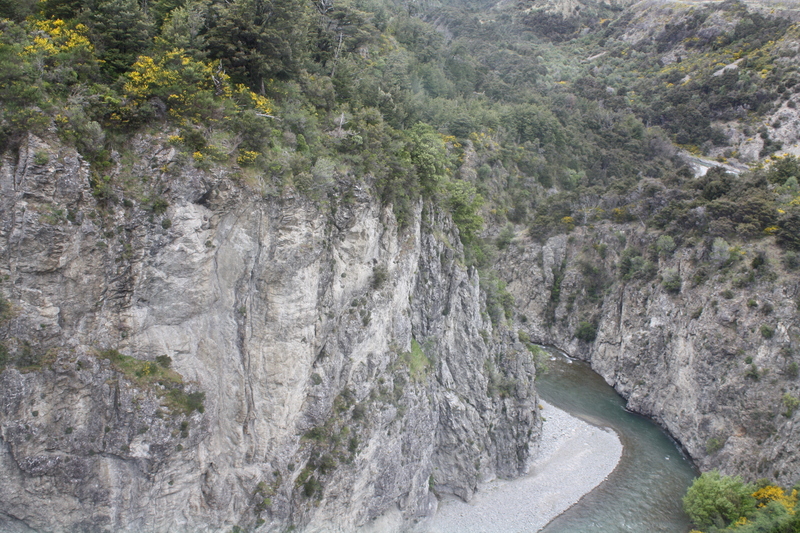 Enroute to Arthur’s Pass we snaked our way past rocky river beds and tussock, over bridges, and through tunnels and viaducts. 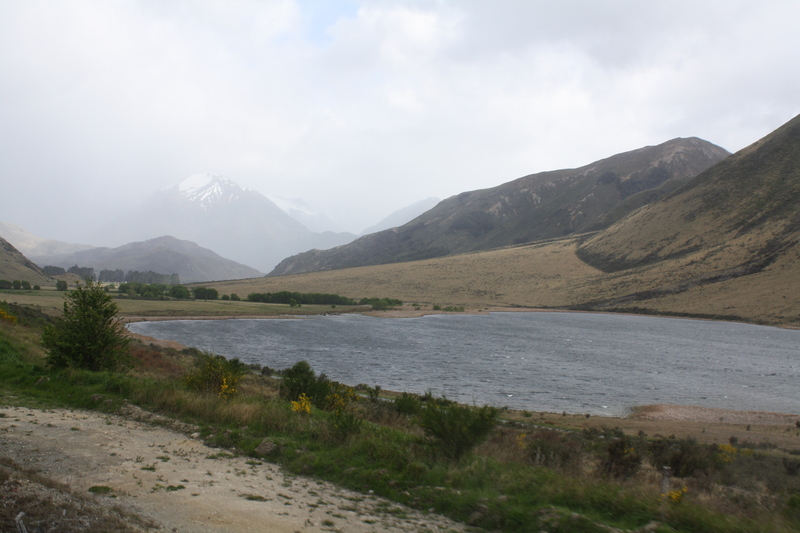 Past the misty mountains, there’s a beautifully still lake and couple of cute little settlements before the last stop in Greymouth, a historic mining town. 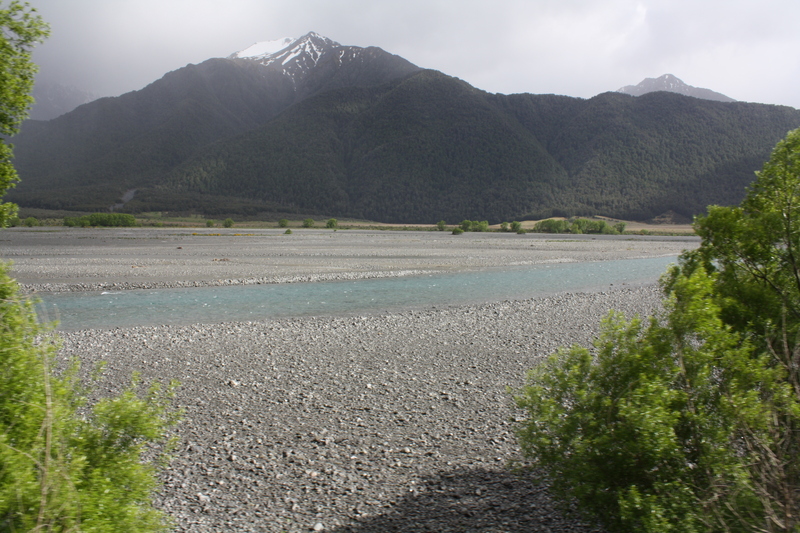 If you’re taking the TranzAlpine back the other way, it departs Greymouth in the afternoon and returns to Christchurch just in time for dinner. Getting to the train stations: The shuttle from our central Christchurch hotel took about 10 minutes to reach the train station in Addington; in Greymouth, the train station is fairly central – it’s a small town – right by the big Warehouse and the i-Site and rental car depots. 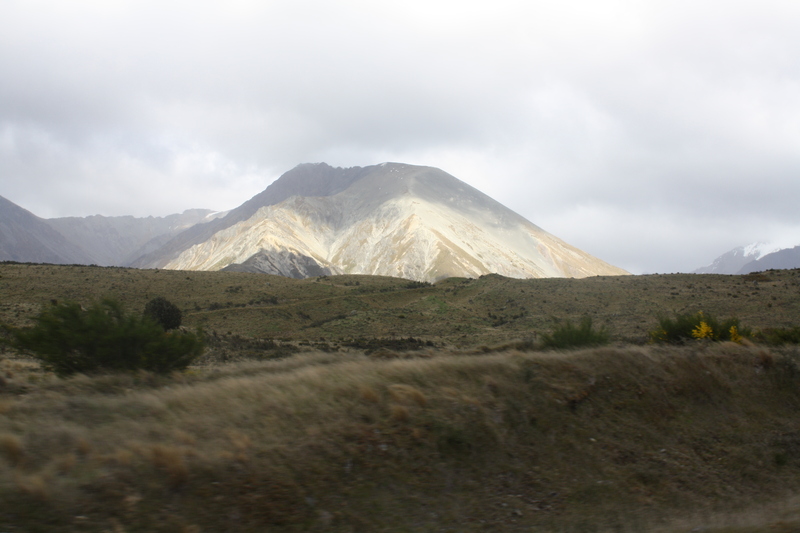 See more reviews of the TranzAlpine on Tripadvisor. Amazing. I do love a good gorge picture, though more than pictures, I love walking right up to them. Gorges evoke a deeply spiritual feeling in me, the darkness below reminding me that life is but a sliver of light in a universe of darkness — while we stare into the darkness of the gorge, the gorge stares back at us. I love your beautiful mountain pics! Love them! Marvelous! Thanks for sharing E.
I went to many of those places when I visited NZ. Just gorgeous! migawd but NZ is gorgeous! Wish it was easier for you folks to find comfortable digs and well-paying jobs there. But still have to say: you live in the most beautiful country on the planet. As a big train fan, I would LOVE this trip. When’s the next plane to New Zealand?! How gorgeous! I love riding trains regardless of where they are. Though definitely some better than others.